In the words of Mr Phil, THE OLD MAN & THE GUN is "Wes Anderson directs Ocean's 80". What he means by that is that this is a wonderfully stylish, witty, smart caper film with a wry sense of humour and way too much charisma for its own good. The movie stars Robert Redford as the real life bank robber Forrest Tucker - a man so addicted to and made happy by robbing banks that he did it pretty much his whole life! Of course, he was also periodically caught by the cops, and so periodically busted out - not least in an audacious self-made small boat from San Quentin! 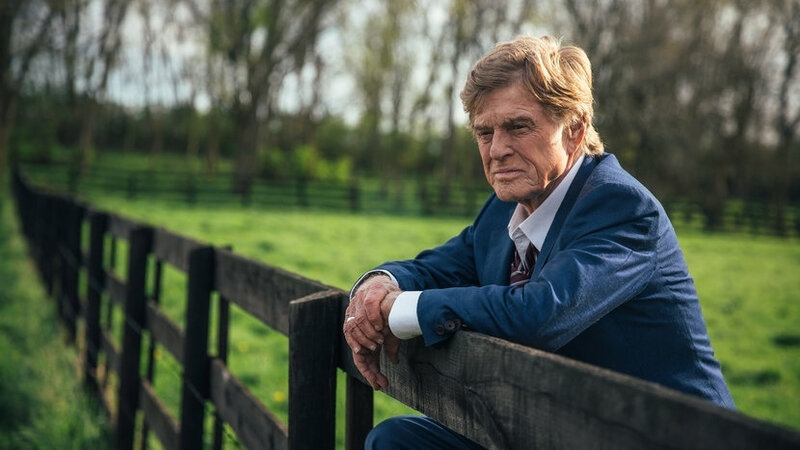 If the character sounds larger than life, Robert Redford looks like he's having an absolute ball in the role, and takes us along with him for the ride. One of the funniest moments is when Tucker meets the cop who's trying to catch him - a wonderful Casey Affleck - and you can't tell if Affleck is laughing at the insanity of the encounter in character, or just at how much fun Redford is having for real. Add to this a super performance from Sissy Spacek as Redford's love interest and some truly authentic naturalistic performances from Affleck's character's kids, and you have a movie with a lot of heart. Behind the lens, I loved David Lowery's sense of style and fun - his DP Joe Anderson's fluid, elegant camera-work, and a truly beautiful jazz-infused score from Daniel Hart. But to be honest, I can't single out everything I love because there's literally nothing I don't like about this film. In fact, it's one of my films of the year. THE OLD MAN & THE GUN is rated PG-13. The film played Toronto and London 2018. It was released in the USA on September 28th 2018. It comes out in the UK on December 7th.